The Director of Public Prosecutions has entered a nolle prosequi in a case where the Inspector General of Police Kakoma Kanganja sued Chilufya Tayali for Libel. When the case came up for continuation of trial, the defence said it was ready to continue cross examining the Inspector General, but magistrate Felix Kaoma said the DPP had filed a nolle. “We are ready to continue, however I don’t seem to see the witness currently on the stand before court. Perhaps the state has an explanation; but may the record show that the defense team is ready,” lawyer Mulambo Haimbe said. Magistrate Kaoma then informed the defense that the case had been discontinued. “I have noted on record that the DPP yesterday filed in a nolle and in line with the CPC, I hereby dismiss the accused. 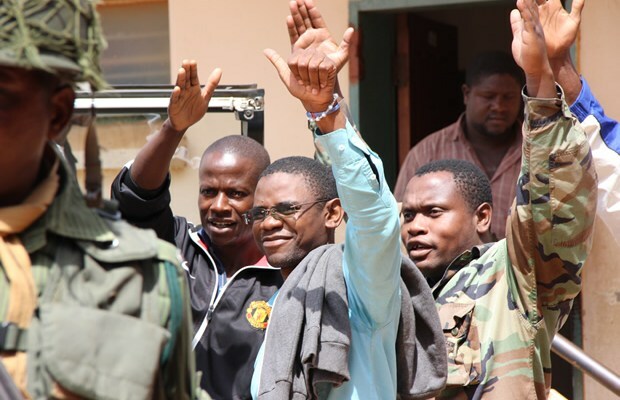 You are a free man in the meantime,” Magistrate Kaoma told Tayali.